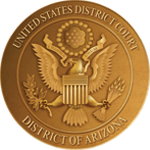 This site provides information to individuals who are representing themselves in civil matters in the District of Arizona without the assistance of an attorney. This website is intended as an informative and practical resource for these litigants and is not a substitute for legal advice from an experienced attorney. The information is procedural in nature and should be read in conjunction with the Federal Rules of Civil Procedure, the Local Rules of this Court and the individual practices of the judge assigned to your case. In addition, this website includes the following materials which may be useful to you in representing yourself: Handbook for Self-Represented Litigants, and a variety of forms for documents commonly used in civil cases. When you are without an attorney, you are proceeding "pro se". If you represent yourself in Court, you are called a "pro se litigant" or a "self-represented litigant". "Pro se" is a Latin term, meaning "on one's own behalf" and a "litigant" is someone who is either suing someone or is being sued in court. Corporations and partnerships must be represented by an attorney. A pro se litigant may not represent a class in a class action. A non-attorney parent may not appear pro se on behalf of a child, except to appeal the denial of the child's social security benefits. A civil case, which is the only type of case you can file in federal court, is different from a criminal case, which can only be brought by government officials. In a civil case, you do not have a constitutional right to appointed counsel. Therefore, if you file a civil case pro se, you should be prepared to pursue it to completion on your own because the Court appoints counsel only under certain limited circumstances that may not be met by your case. Be advised that the Clerk and his employees are forbidden by law from giving you legal advice. Legal advice could be described, but is not limited to: offering interpretation of rules; recommending a course of action; predicting a judicial officer's decision and interpreting the meaning or effect of any court order or judgment.